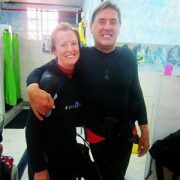 We have been diving, and teaching diving, in Tenerife since 1999. 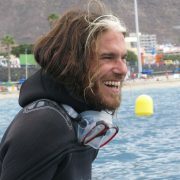 Aqua-Marina one of the longest established and most trusted dive centres in the Canary Islands. We are popular with groups, individuals and families seeking a friendly and informal, yet professional environment. We limit the size of our groups and aim to match people of similar experience. 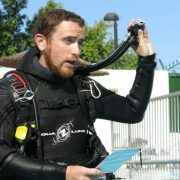 This maintains an intimate and social atmosphere between our guests and the dive team. Our team speak a variety of languages. Guests from many different countries find their needs catered for both above and below the waves. Our team of Instructors, including a full time Platinum PADI Course Director, is looking forward to welcoming you to sunny Tenerife! You don’t need a license to dive – you can give it a go TODAY with no experience necessary! The PADI Discover Scuba Diving Programme introduces you to the wonderful underwater world quickly, easily and with no stress! 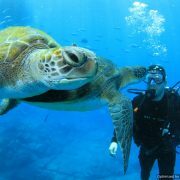 We provide all the equipment and a guide, and take you by boat to swim with turtles. 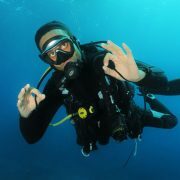 Aqua-Marina PADI 5* Dive Centre provide the full range of PADI Courses. 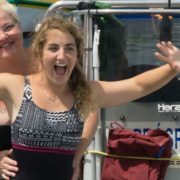 We have a multi-national team of experienced and enthusiastic PADI Instructors. Advance your training with our complete series of PADI Continuing Education Courses; including Nitrox, Deep, Wreck, Sidemount and Technical diving. With up to three boat dives every day Aqua-Marina is here to show you the best of Tenerife Diving. Give it a go – Tenerife is becoming more and more popular as a diving destination. 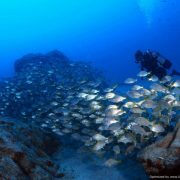 Everyone is now discovering how truly breathtaking diving Tenerife can be. Discover new limits with your diving! 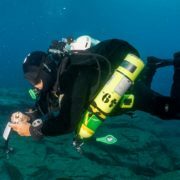 Rise to the challenge of Technical Diving in Tenerife! Fancy a little on the side? 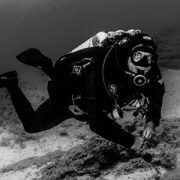 Sidemout diving – both Recreational and Technical – available here! Are you tired of your job? 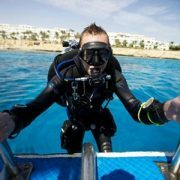 Would you like to turn your passion for diving into a career? 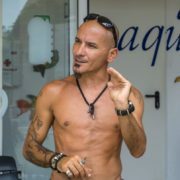 Enrol in our PADI Divemaster internship today! 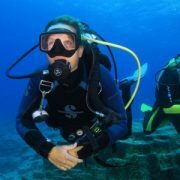 Become a PADI Instructor! We have 4 IDC’s each year, run by Tenerife’s ONLY Platinum Course Director. 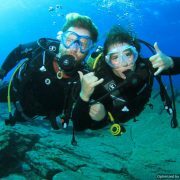 This Easter (08th – 26th April) is the perfect time to introduce and friend or family member to the wonders of diving! Sign someone you know up for a Discover Scuba Dive and you can join them on the Open Water dive to swim with turtles absolutely free!